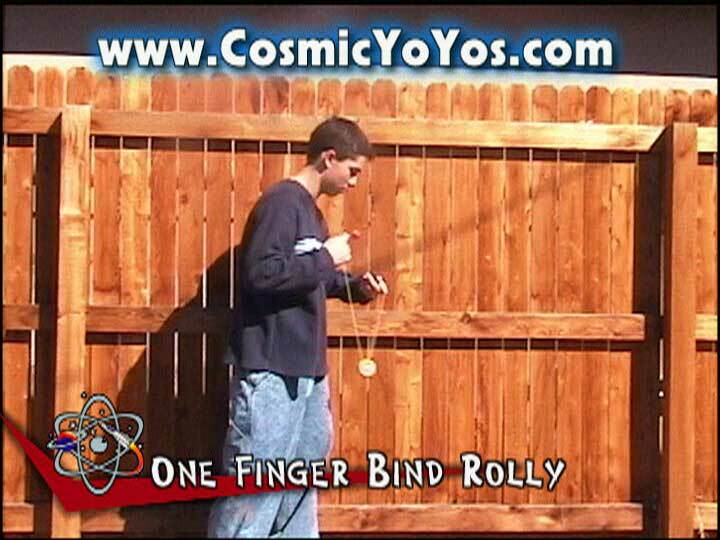 The Cosmic Yo-yos Ultimate Trick Collection DVD is one of the most complete and professionally produced yo-yo instructional videos ever made. 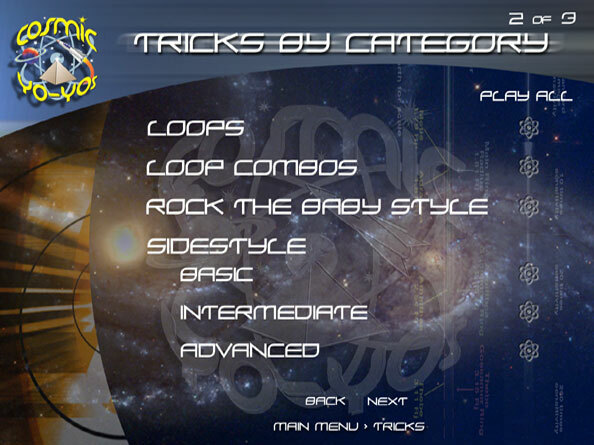 You get expert instruction, high-quality video, and loads of tricks to keep you busy for months! 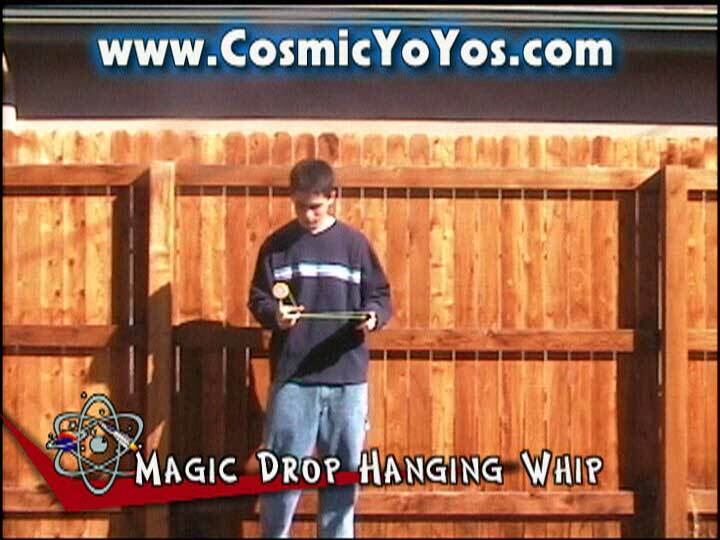 Watch any trick from multiple angles and in slow-motion. 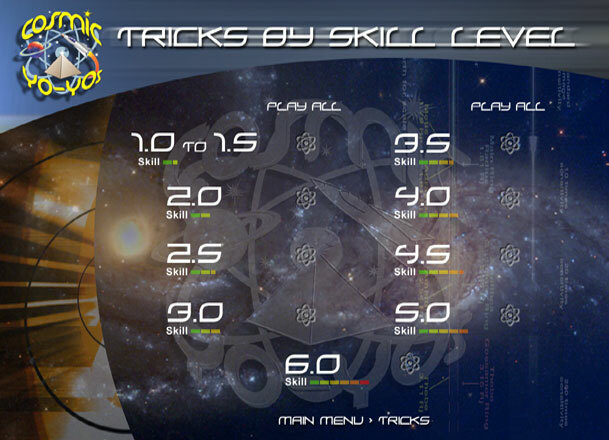 We even included an option to loop any trick (regular speed or slow motion) so that you can really study every nuance of any trick. 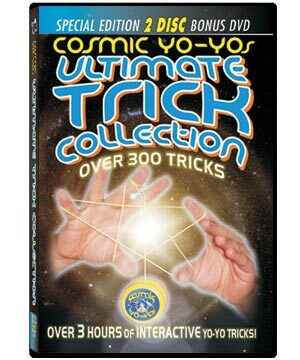 The Cosmic Yo-yos Ultimate Trick Collection DVD will teach you how to perform over 300 amazing Yo-yo tricks! 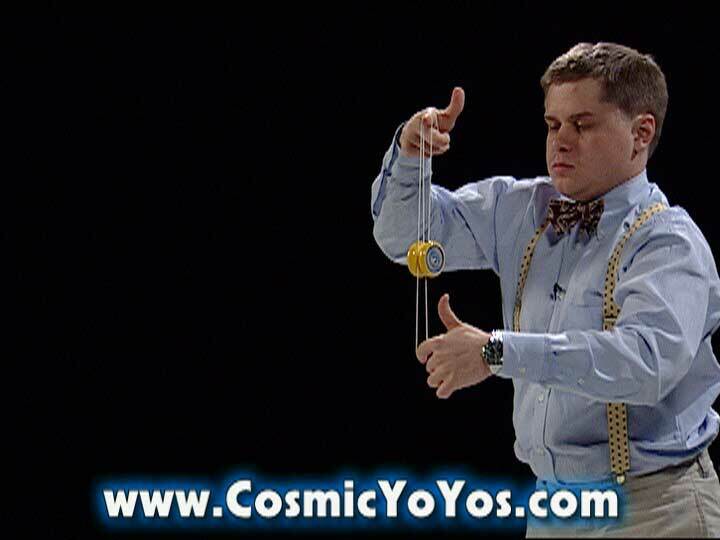 You'll receive expert instruction from the founder of Cosmic Yo-yos, which was one of the Internet's original yo-yo sites. 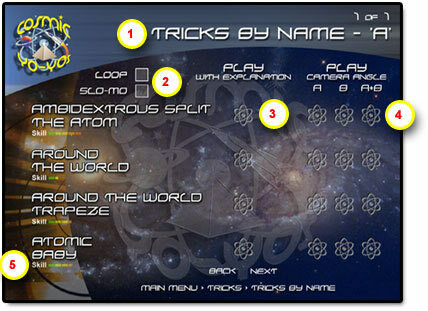 Each trick features expert instruction, high-quality video, and interactive features that make learning easy! Search tricks by category, name, or skill level. 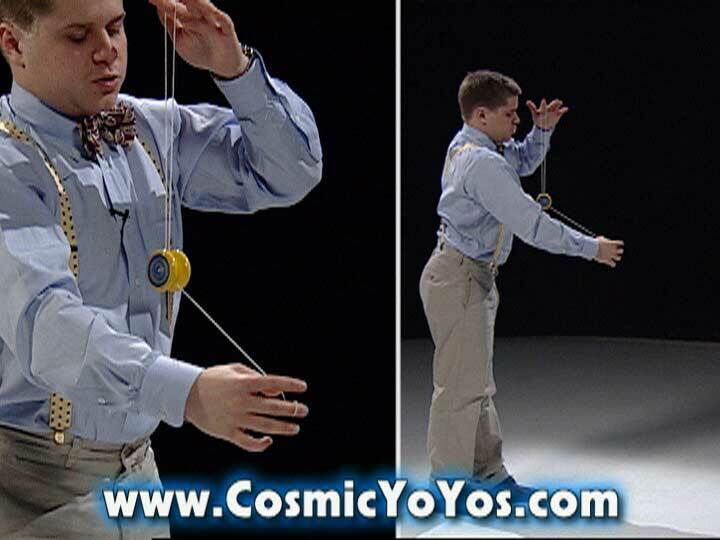 Loop any trick for easy learning. 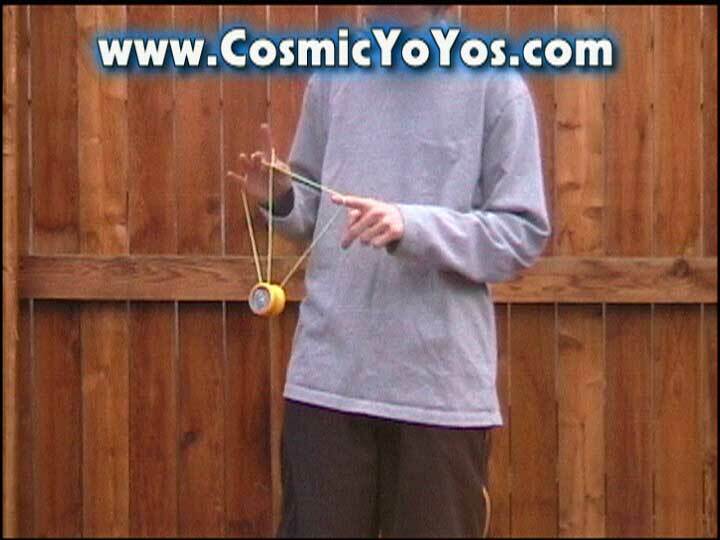 Watch any trick in slow motion. Verbal explanations of every move. Pick from multiple camera angles. Test your skills by mastering six levels of difficulty. 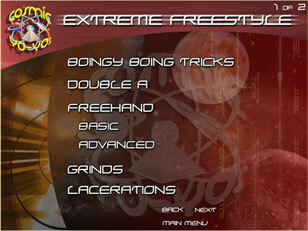 As a special bonus, we've included a second disc with nearly 200 freestyle tricks. The two performers on this disc knock out some amazing slack string, offstring, freehand, and laceration tricks. 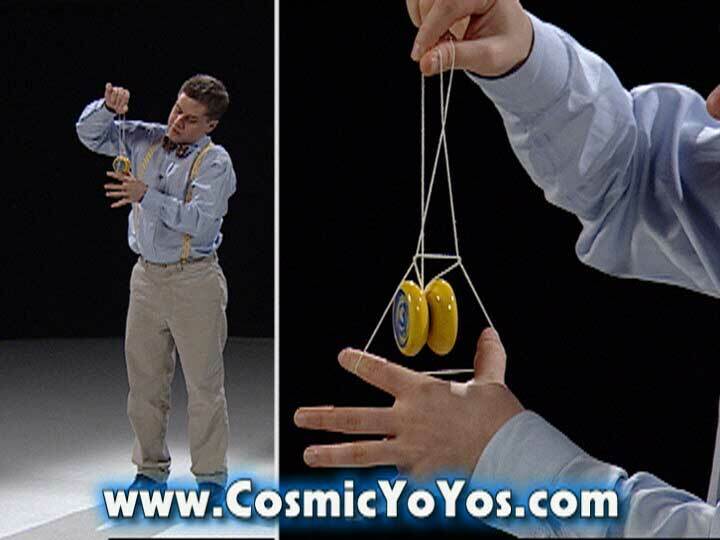 This disc includes each trick in slow motion. Disc 1. Click on any of the pictures for a larger view. Disc 2. Click on any of the pictures for a larger view.